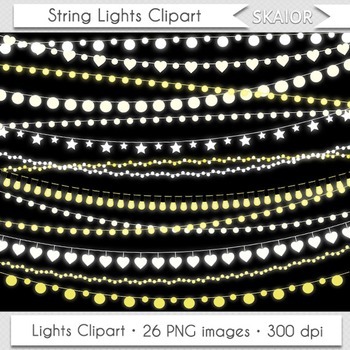 26 string lights cliparts in PNG format. Each one is approx 12" wide. High-resolution 300 dpi.